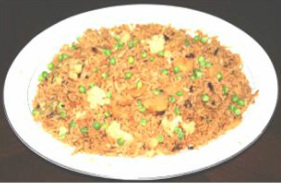 ﻿V﻿egetable pulao is one of the favorite pulao in North India. It is a wonderful balanced one meal dish that can be eaten by its own or accompanied with raita (yogurt), green chutney or pickle. 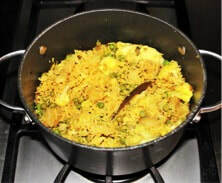 Vegetable pulao is cooked with three favorite North Indian vegetables, green peas, cauliflower and potatoes. To add protein in this dish you could garnish it with sliced hard boiled eggs. 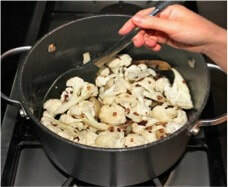 It is versatile dish you can use any number of vegetables, make it spice or mild to suit your palate. Vegetable pulao is usually served for lunch, but it is a quick dish to prepare when sudden guests drop by at home or feeling like eating something different from the normal routine meal. 11. Add Green pea and mix everything together. 12. 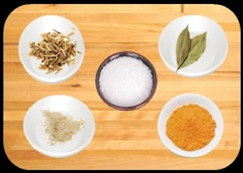 Add 2½ cups of water, and mix. 16. 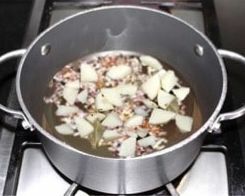 Once water is reduced cover the pan and cook for about 5 to 6 minutes. Keep the heat to low. 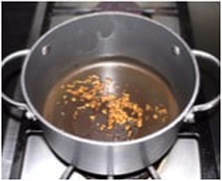 17 Check if the Rice is cooked, if they are, turn the stove off. 19. 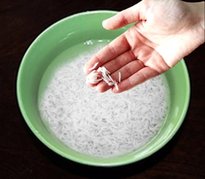 Fluff the Rice gently with a fork before serving. ​20. If you wish garnish Pulao with sliced boiled Eggs. 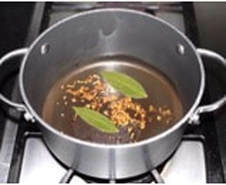 the boiling water with the rice. 3. 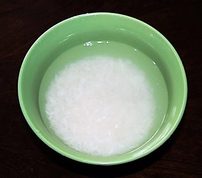 Rice could be cooked without soaking. 4. Cauliflower pulao could be cooked in Rice cooker.